As an entry in one of the automotive market's fastest-growing segments, sales of Volkswagen's compact SUV should be firing on all cylinders. Regrettably, early resistance to both its styling and pricing made VW's "kinda-cute" ute a tougher sell than projected. 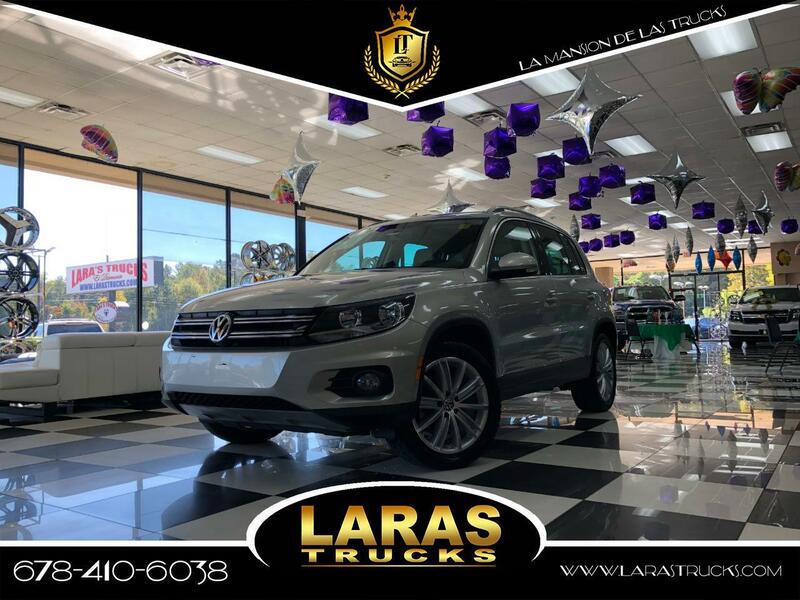 An aggressive freshening of its styling for 2012, along with an entry-level price point of under $24,000, provides VW with an opportunity to turn the Tiguan story around. And that could be helped in no small way by the number of new customers attracted to VW's Jetta and Passat; proximity, perhaps, will nurture familiarity. If you enjoy the footprint and packaging of today's compact SUVs, but are looking for more power and/or greater agility, the 2012 VW Tiguan makes a great deal of sense. If you're taking your compact SUV to the trailhead, you may wish for a better reliability record than is (historically) typical of VW. And while affordable at the entry level, a Tiguan laden with options can quickly get pricey. What VW terms a "major design refresh" for 2012 provides the Tiguan with a new front fascia incorporating the horizontal brand face. The result is a compact SUV looking quite a bit like VW's larger, up-market Touareg. At the rear, revised taillights also reflect the appearance of the Touareg, creating a "tough new look for the urban jungle." Finally, the top-of-the-line SEL receives new 19-inch alloy wheels, designed by Volkswagen's performance-oriented R performance division. Sharing the GTI's 200-horsepower turbocharged 4-cylinder, you'd be inclined to think the Tiguan might provide some GTI-like performance. And with a 0-60 dash of less than eight seconds, it's less sluggish than a great many in the category. However, the Tiguan's upright stance, relatively soft suspension and prodigious (when compared to a Golf-based GTI) mass all work against it. You cross-shop it, however, with some of its immediate competition from Japan, and you'll find the Tiguan unexpectedly responsive, even in base S packaging. Of note is the sport suspension provided on the SEL trim. Given its Germanic DNA, steering, braking and drivability are above average in the class. Available on all models (but not, regrettably, available with a manual transmission) 4Motion all-wheel drive (AWD) takes the guesswork out of 4WD engagement, as it's always engaged. In most conditions 90 percent of the drive goes to the front wheels. When front-wheel slip is detected, however, the system can direct almost 100 percent of the driving torque to the rear wheels, providing driver and passenger(s) with genuine security, regardless of season. In a vehicle intended to offer utility, nothing beats stowage versatility. And within its compact footprint the Tiguan has it in spades, led by its flexible rear seating. The rear seats will fold in a 40/20/40 split, accommodating a wide variety of loads and load lengths. And they will also slide fore and aft by some six inches, increasing passenger comfort, or cargo capacity, as you need it. Flexibility, thy name is Tiguan. With its well-established leadership in interior design and material selection, VW advances another step or two with well-considered packaging and features. The 40/20/40-split folding rear seat provides six different configurations for maximum flexibility, the rear seats slide forward and back to maximize passenger comfort or cargo capacity, and a 12-volt power outlet gives you an additional tool at the trailhead. Beyond all this is Volkswagen's careful approach to interior design, layout and functionality. Striking a balance between city footprint and country composure, the Tiguan constitutes a grown-up GTI for hot-hatch enthusiasts needing more utility. As such, its upright proportions provide more interior room, while its generous greenhouse supplies a better perch for seeing the countryside – or surrounding traffic. The modifications made for 2012 reinforce the earlier resemblance to Volkswagen's up-market Touareg, and since it has also received an exterior refresh, the corporate visage is in full alignment. At a competitive base price of under $24,000, the Tiguan comes comprehensively equipped, with a 2.0-liter turbocharged engine, 6-speed manual transmission, Bluetooth connectivity, trailer hitch prep, split-folding reclining rear seats, 40/20/40-split folding rear seats and an 8-speaker sound system with in-dash CD. The S with Sunroof package adds a power tilt/sliding panoramic glass sunroof and tinted windows to the S automatic. In a segment where a great many vehicles are sold with front-wheel drive (FWD) only, Volkswagen's optional 4Motion all-wheel drive (AWD) is notable for both its availability and capability. One bump beyond the S model is SE, providing buyers with 18-inch alloy wheels, V-Tex leatherette seating and a Premium VIII radio with SiriusXM satellite radio. With an undersquare bore/stroke ratio and cast-iron block, VW's 2.0-liter turbocharged four doesn't sound like an up-to-date piece of engineering. One drive, however, will make you a convert, with flexible power and prodigious torque. And with fine-tuning of both idle speed and the auto box's gear ratios, fuel economy is improved for 2012 on those models equipped with automatic transmissions and those with automatic and 4Motion all-wheel drive (AWD). The 2012 Volkswagen Tiguan S begins at under $24,000, and is comprehensively equipped. The next step is that same model with 4Motion all-wheel drive (which comes only with a 6-speed automatic) and an MSRP of $27,000 and change. The mid-range SE with Sunroof and Navigation takes the SE spec (18-inch alloys, V-Tex leatherette seating, front-seat manual height adjust, Premium VIII radio with SiriusXM satellite radio, etc.) and adds a panoramic glass sunroof and RNS 315 navigation system for approximately $32,000. The Tiguan tops out at roughly $38,500 with the SEL trim level combined with Premium Navigation and Dynaudio. At that level 4Motion all-wheel drive (AWD) is standard. When shopping, check Kelley Blue Book's Fair Purchase Price to determine what consumers are paying in your market area. Competitive vehicles in the segment include Honda's CR-V, Subaru Forester, Mazda CX-7 and Toyota RAV4. Among these, the Tiguan is typically the most expensive when comparing feature for feature.